Today’s the first day of the fiber/roving contest. All you need to do is post a comment on either a blog post, patterns, or yarns and fiber. On May 1st I will contact the winner so you can tell me which fiber you would like and I will ship it to you. I would like a chance to win some of your merino superwash. I like you On the Fly baby hat pattern. Thanks for the drawing. I saw it on Ravelry where I am knitterofhats. 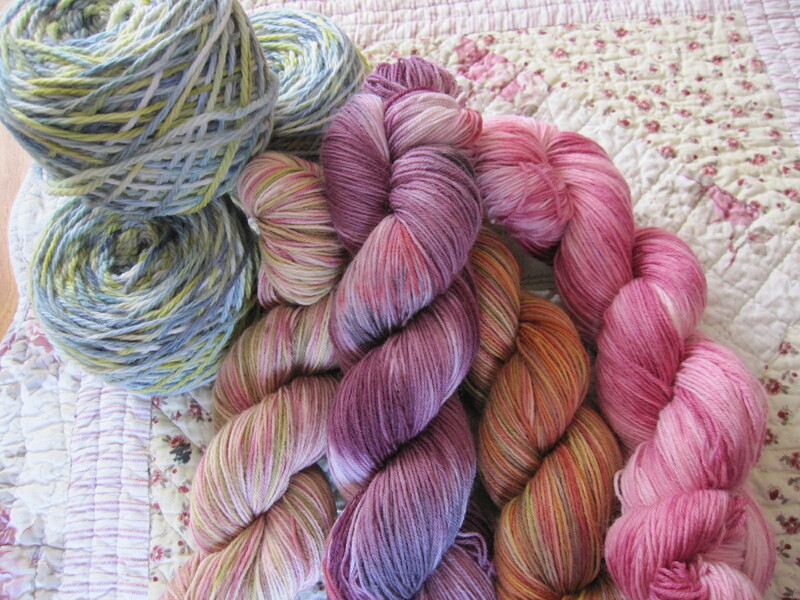 A chance to win a skein of Cowgirlknits hand-dyed–count me in, please!! Nice giveaway! I love your yarn! Wow! Would love to win some of your yarn. I checked out your Etsy store, and I love your colorways – especially stormy night, seascape, and the one with the pinks and greys. Beautiful stuff! Thanks so much. I love the feedback (positive or otherwise).